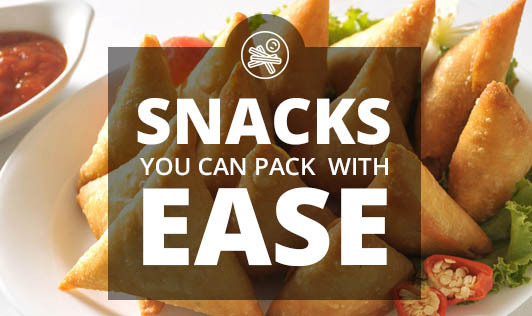 Snacks you can pack with ease! Snacking right and healthy is important. But, finding the right snack is a task! Here are a few snack ideas that are quick to make and easy to carry. • Fill ¼ of a big bowl with water and keep it for boiling. • Chop dark chocolate into small pieces and put it in a small bowl. • Once water starts boiling, place the small bowl inside the big bowl and stir the chocolate till it melts partially. Remove from heat and stir continuously till it melts completely. • Add muesli, nuts and dry fruits and mix well. • On a butter paper, place a spoonful of the mixture next to each other and refrigerate it for 5-10 minutes. • In a bowl, mix all the ingredients and stir well. • Pack in an air tight container. • Chop tomato and onion and keep aside.